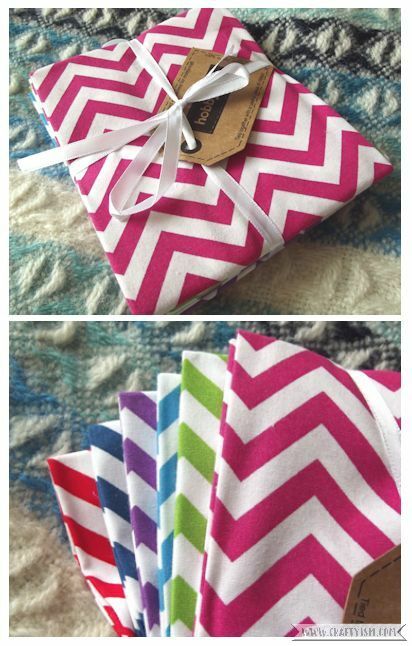 A colourful fat quarter pack of 6 pieces of cotton chevron fabric. I love the bright colours and bold patterns, they’d make great little zip pouches or an amazing mini quilt. 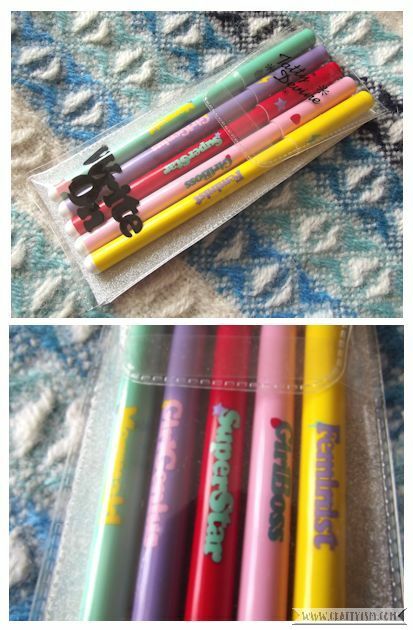 A pack of 5 Tatty Devine black ink pens. I’ve got a bit of an addiction to black fine line pens, so I couldn’t resist these printed with cool slogans. They’re great for illustrations or for bullet journaling. Last and most excitingly (in my opinion anyway!) 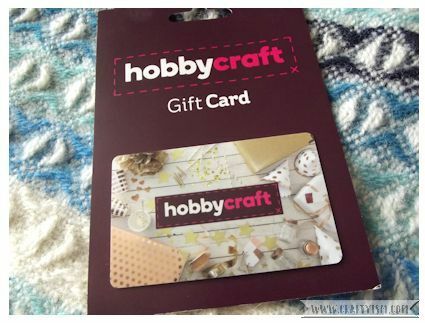 is a £5 Hobbycraft gift card. I love mooching around Hobbycraft and don’t think I’ve ever left without buying anything (hence the large craft stash!) 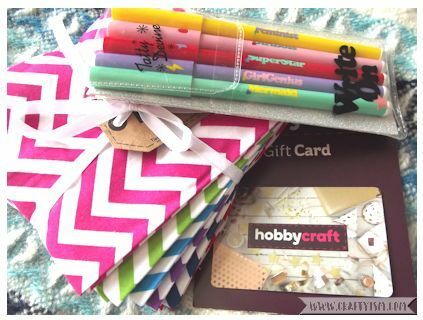 Hopefully you’d be able to use the gift card to top up your stash, or buy supplies to make the tutorials posted on Craftyism! Thank you for reading over the last year, and if you’re new, welcome to Craftyism. Here’s to another year of crafts and fun! To enter the giveaway, just follow the instructions in the Gleam widget below (UK entries only I’m afraid!). I like knitting and I make baby clothes, scarves and jumpers. I personal enjoy felting abut I love to make collages with my children! We make lots of cards for family members – for Christmas, Easter etc! They are lovely to keep! I can never throw away a card someone has made me, it’s so thoughtful! I love drawing, but I’ve done papercutting a few times and that’s great fun! Finishing a papercut project always feels like such an achievement! You’re right, personalised gifts are always the best! Favourite crafts are papercraft which I have been learning about for two years and knitting which I have been doing since the age of 4! You must be a knitting pro! You’re utterly fab! and happy blog birthday!! It would have to be crochet and happy blogiversary. I love to make tiny things for my dolls house from furniture to fimo food! Wow, you must have good eyesight and nimble fingers! I love fibre crafts in general, and would find it hard to choose between crochet and knitting…but I’ll go with crochet! Sewing is a great life skill too! I like papercrafts and making cards for family and friends or scrapbooking as it’s nice to look back at the photos and memories. i love making things with the kids! our favourite recent make is the look out from Paw patrol!! I love papercrafting, especially card making, I really enjoy it and have met some friends whilst crafting too. Just finished making an England football card for my friend’s son. He’s Spurs and Harry Kane mad so it was quite easy with the World Cup. Now onto my favourite cards to make – CHRISTMAS!! Could do them all year and have loads of different ideas already. I love to make things from paper, my favourite one are hand made cards. I like so many different crafts! Papercraft, decopauge, sewing, crochet, drawing! i love making cards and recently got into scrapbooking. my sister is a big crafter and has got me into it a lot!! Although I like craft projects I am not that good other than cross stitch. I love embroidery, I love making decorative slogans! I love making little felt bunnies! I love sketching, especially animals and landscapes. Sewing is something I enjoy also. I’m into painting. Acrylics or water colour. I used to make cards but it all got a bit too fiddly for my old hands. I love Hobby Craft always crafting, into my bullet journal a lot lately! I love knitting and cardmaking – most of my cards are made from random items as well as specific card making items, I love to find other uses for items too especially playing cards, gems, trinkets. Definitely making cards for people, it’s so rewarding! I enjoyed knitting, and for many years knit baby and children’s clothes mainly. I did knit a small amount for adults, as well as dolls clothes, and some soft toys. Alas no longer able to, due to arthritis. So have been trying some other crafts such as card making, etc. Decoupage is my favourite,it’s so satisfying seeing the finished product. that would be a toss up between cross stitching and applique. I like papercrafts and make cards, for birthdays and Christmas. But I also knit, crochet and sew – mainly small projects, like cushions, hats, glove puppets. The latter are for charity projects such as shoeboxes appeals etc. I have no favourite, but I love doing crafts with my daughter. There’s always glitter being found after creating our collages! My favourite craft is pinata making using balloons, paper mache and crepe paper . Then when finished I put lots of sweets and goodies inside. I enjoy making cards and creating collages. I love cross stitch, which I started doing early in secondary school. I’m currently trying to get through some of my old kits, including at least one that’s probably 20 years old. Congratulations on your 1st birthday Celebrations! I like to make clay models and enjoy painting. I’ll give anything a go except knitting! I still can’t seem to master it! My personal favourite type of craft has to be card making as i really enjoy it and i love making cards for my family/friends but i love to see their reaction to the cards too and i find it more thoughtful making a card than buying one from a card shop. I love sewing and making clothes, I also love up cycling garments! I like to make my own greeting cards, but recently taken up knitting.